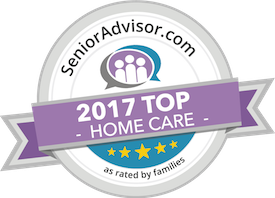 Elder Care in Honolulu HI: How Do You Make up for an Emotional Meltdown as a Family Caregiver? Elder Care in Honolulu HI: How Do You Make up for an Emotional Meltdown as a Family Caregiver?. Nobody enjoys snapping at someone or having any other type of emotional meltdown, but it’s doubly upsetting for family caregivers. Often you might find that you’ve overreacted to your elderly loved one and that can leave you feeling terrible. You can recover from this and find solutions for the future. Apologies don’t magically fix everything, that’s for sure, but a sincere apology can go a long way toward healing wounded feelings. Let the person you’ve lashed out at know that you’re sorry for what you said or did and that you overreacted. From there, you can make other amends when you’ve had a chance to think through the situation. As soon after your meltdown as you can, take some time out. Take some deep breaths and let yourself just calm down. Having an overreaction to a situation can leave you with an emotional weight that you need to unpack a bit. Giving yourself space before you do that can help a lot more than you might think. You might have had some justification for parts of your reaction. A situation may have been in need of correcting, but possibly you overdid it. So there may be some validity to parts of what happened. It’s important to look at why you reacted in the manner you did, however. That allows you to see through to the true problem and until you identify that, you can’t come up with solutions that will work. When you feel you have the causes for your reaction narrowed down, it’s time to find solutions. Some might involve taking more time away for yourself while others might involve bringing in some help so you’re not doing it all alone. Hiring elder care providers or talking to other family members about pitching in might then go on your to do list. The key is to find solutions that rectify the causes you’ve already identified. If you ignore the lessons that your meltdown is trying to share with you, you’ll find yourself back in the same situation again and again. Pay attention and make changes that help you and your elderly loved one. Have questions about elder care in Honolulu, HI? Contact the caring staff at All Care Hawaii today. Call Oahu (808) 206-8409 or Maui (808) 664-3853. Call us 24 hours a day, 7 days a week!